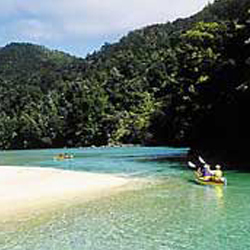 With just over 45,000 in population Nelson really punches above its weight in comparison to other New Zealand smaller cities. The region is known for its arts and crafts, its markets and the various festivals taking place throughout the year. The area has a large community of working artists, especially a lot of good painters and woodworkers, whose works and workshops can be visited on walking and driving trails through town and the region. The Wearable Arts awards, a yearly event which mixes fashion, visual arts and theatrical expression, began in Nelson, and the museum showcasing the spectacular garments from years past is still here. 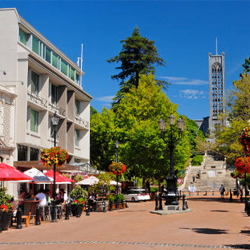 There is a lot of relaxed outdoor wining and dining in Nelson City. Hopgood’s, a true destination dining location, has gained a reputation as one of the best restaurants in all of New Zealand and The Boat Shed, perched above the water at Nelson harbour, has been a local favourite for years. 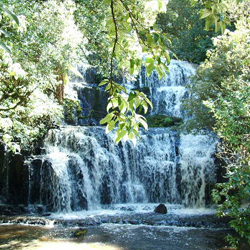 Nelson is also known for its ‘alternative’ scene. Meditation classes and spiritual teaching of various kinds are all readily available. There are yoga courses and workshops on topics that vary from quantum physics to how to design your own mudbrick or strawbale home. Once a year Nelson hosts the Evolve Festival, one of the biggest alternative lifestyle expos in the country. The beauty of the region, the flourishing art scene, the quality restaurants and the availability of good, healthy food, good schools and health care attract many people to the area to live, work and play.